When MINI drivers need auto repair, they turn to the auto mechanics at Complete Car Care in Encinitas. As the leading auto repair shop among MINI drivers from Carlsbad, Rancho Santa Fe, and Encinitas, we are chosen time and again by families throughout the region and beyond. Regardless of the extent or complexity of the problem, our team of technicians will get your MINI running in tip-top shape. Complete Car Care in Encinitas is trusted to handle any and all auto repair for MINI drivers throughout Carlsbad, Rancho Santa Fe, and Encinitas. Our technicians use only the highest-quality tools and technology to service your MINI, and our team will keep you updated each step of the way. At the end of the day, we just want to help you, and the best way we can help you is by keeping you and your family driving in a safe and secure MINI. “I was very pleased with my experience at Complete Care Care. Awesome customer service, very fair and reasonable prices. Very considerate when it comes to your budget and your schedule. As long as I live in southern California, I will bring my vehicle here. I would and have recommended them to others. 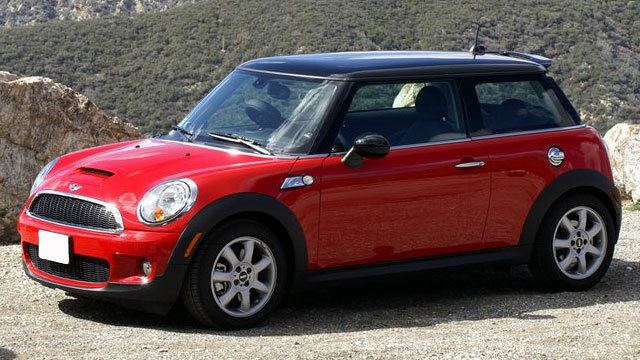 They do a fantastic job.” -- Denise C.
The next time your MINI needs service, turn to the team of auto mechanics at Complete Car Care in Encinitas. We are the go-to auto repair shop for Carlsbad, Rancho Santa Fe, and Encinitas drivers, as we are directed by a strong moral compass, offer exceptional auto repair backed by a 3-year/36,000-mile warranty, and convenient loaner and shuttle service. What more can you ask for? Schedule an appointment today, or stop by at 318A N El Camino Real, Encinitas, CA 92024.